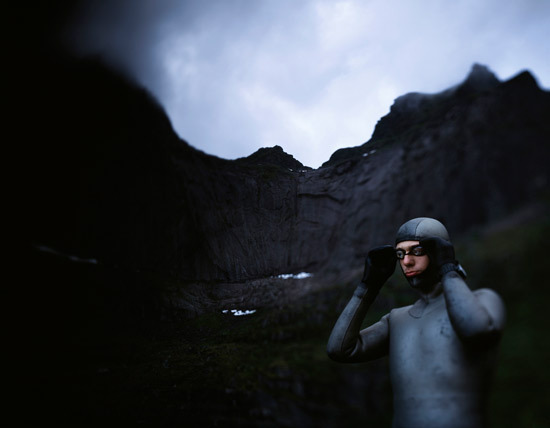 In 2012, Maja Kaszkur and Radek Polak spent two months traveling with championship diver Mateusz Malina in Egypt, Norway, Poland and South Africa, and a month shooting with large and medium format cameras. "Matt comes from a modest family. Wishing to make his passion come true he worked for two years in a BMW factory in England. He learnt English to learn to dive. His familiarity with the theory is a result of persevering study of the online sources. He could not afford to pay for professional courses nor for individual training. Matt is like Rocky Balboa. People love him as he reminds them of themselves. He is not a star of superhuman abilities. He is just a young man from Ustroń who reached the highest peaks thanks to his great determination."